Home » Digital Media » How can I enhance the audio quality of my video clip? How can I enhance the audio quality of my video clip? By Rebecca Walters in Digital Media on August 2, 2010 . 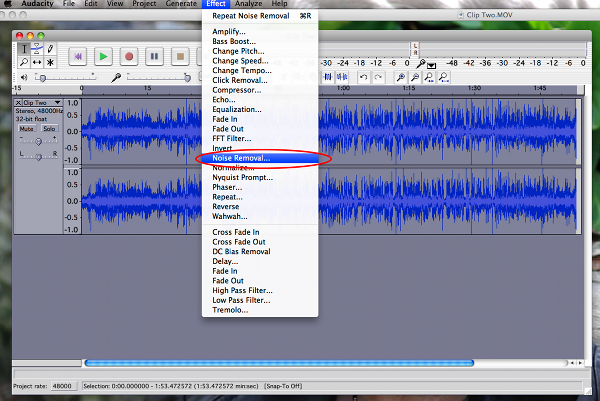 Follow the steps below to edit the audio quality on a .mov file with a little help from Quicktime Pro and Audacity. Open the file in the Audacity. 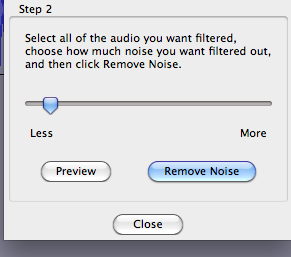 Find a segment of the background noise you wish to remove. Select that segment of noise. Select the entire sound file. 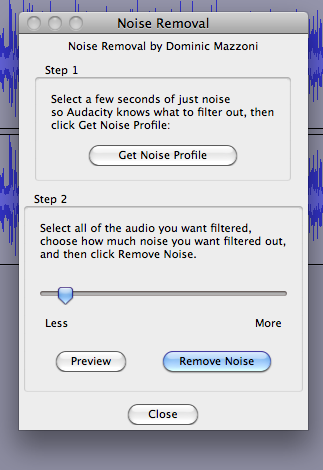 Click “Effect,” then “Noise Removal.” Adjust the “Less/More” bar to determine how much noise to remove, and “Preview” the clip. Save the project, and export it as a .wav file. 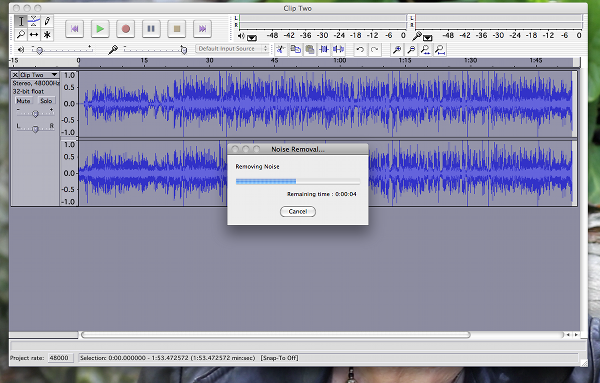 Open the corrected audio file through Quicktime. 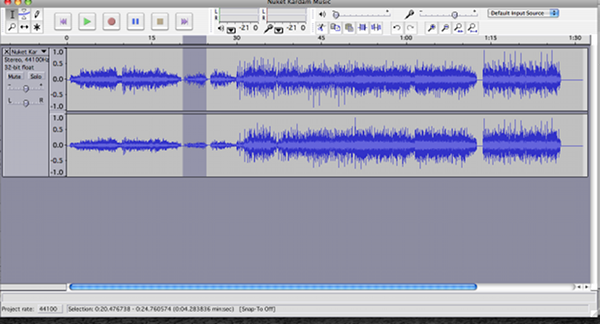 Select the corrected audio file by moving the markers to the beginning and end of the clip. “Copy” the corrected audio file. 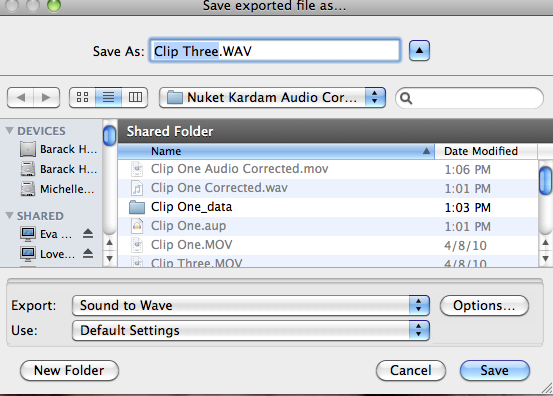 Select the existing audio on the .mov file by moving the markers to the beginning and end of the clip. Congratulations! Your video clip should now play with corrected sound.